There are plenty of battles in cryptocurrency community. The battle I will be talking about today is the battle of hardware wallets. While it’s said that it takes more than a battle to win a war, let’s take. There are plenty of videos and article comparing Nano Ledger S to Trezor, but I haven’t found an ultimate article. So I decided to write a very long post and do an ultimate side by side comparison. I have to disappoint you right away; I will not be recommending you one over another. Sorry, if you’re here for that, watch senseless YouTube videos and decide. I believe that both companies provide excellent products that support the ecosystem and give users peace of mind. However, these products and company values are different. What might be suitable for me, might not be the right thing for yourself. I’m here to talk about my experience with these two wallets. I purchased both of them with my own money, and I have not been compensated or influenced by these two companies. Use this post to educate yourself. Use it as a resource which can help you decide which of these two suits your needs better. I invested quite a lot of time into this, and I hope once you’re done reading you’ll be able to make a decision. The first thing you will notice is that both of these companies are located outside the US. Ledger is based in France (but has an office in San Francisco) and Trezor is located in beautiful city of Prague in the Czech Republic. Below you’ll find the specs table comparing both wallets side by side. Compatibility Windows (7+), Mac (10.8+), Linux or Chrome OS. Windows (7+), Linux and OS X (10.8+). We never judge a book by its covers or cryptocurrency by its logo design, but it’s important to cover all the aspects so let’s talk about packing. 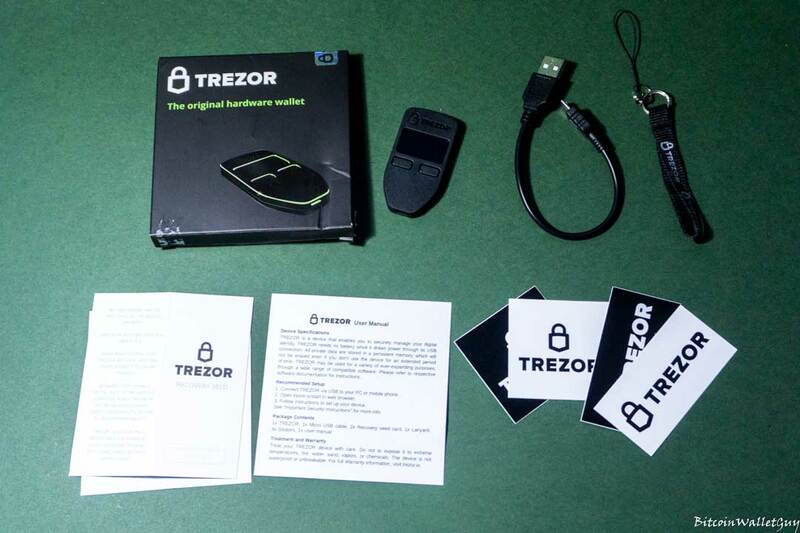 Trezor is packed in a soft flatter cardboard box sized. Like its competitor, it’s also wrapped around with plastic cover. Trezor packing contains a sticker on both sides of the boxes. Before opening the box, you can inspect the label for physical damage if it’s damaged there’s a possibility someone opened the box. While this feature can’t be considered the ultimate protection, it’s nice to have it. Graphics on the packaging are very minimalist. I appreciate that. Trezor package features their device on the front with black background and dark style background, where’s Nano S has light, white and cleaner look. 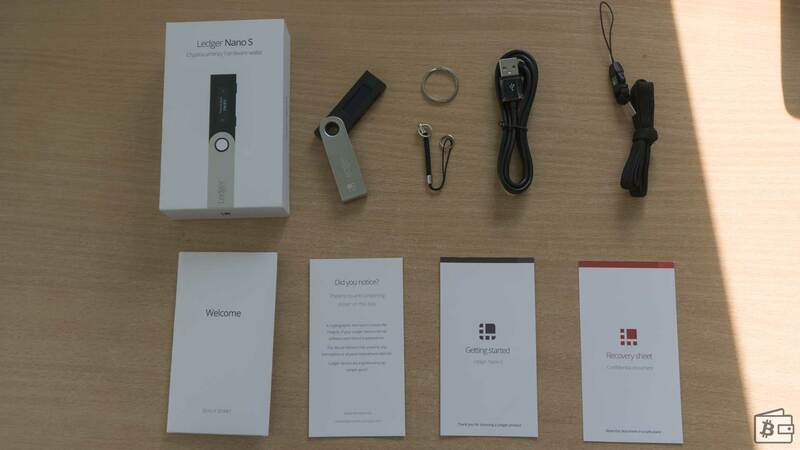 Ledger Nano S arrives in a firm cardboard box. The box is wrapped with foil. Once unwrapped you’ll notice a USB-like wallet placed into a foam. Possibly the biggest difference compared to a competitor, besides the design and quality of the package is that Nano S does not have tamper-proof sticker protection. Let’s talk about tamper-proof stickers for just a moment. In the past they were handy, but as both companies developed their software and optimized their wallets, it’s mostly there for a psychological piece of mind, but in theory, they do not provide usefulness nor bullet-proof protection. And here’s why. Both wallets can quickly check the authenticity. Trezor arrives without the firmware installed. It only has a bootloader. So basically there’s no way for an attacker to installs a third party firmware which can steal your coins without your knowledge. When you set the device up, it will download the latest authentic firmware from their official website. Until you set it up, it’s just a piece of hardware in your hands. Trezor kept the tamper-proof stickers on their packaging, and due to very soft package and strong glue holding it, it’s quite easy to notice if someone tried to open a package. However, in theory, if someone wanted to replace an entire package, he can do it. Ledger Nano S, on the other hand, used to have these protective stickers but removed them. They explained this in on of their articles. Thanks to its microchip Ledger can be set up offline, internally while connected to the power bank or a charger. When you connect the device to their Ledger Manager app, it will check if the device is running the official firmware, if not it will not allow you to proceed. The process is described here. The point here, even though this kind of protective stickers may look like a safe way to know if someone intercepted or opened your package, they are easy to bypass by merely replacing an entire packaging. Both wallets have very bright ways of handling the safety of your device by checking the authenticity of the firmware in two different ways. Nano S and Trezor have very similar accessories. Both contain the wallet itself, user manual, recovery seed booklets, lanyard and a USB cable. Trezor has four extra stickers which you get additionally and an extra recovery seed card. Furthermore, the user manual of the Trezor has more information on the device. Nano S has longer USB cable which might be handy if your PC is on the floor. I found a short cable on Trezor to be a minor inconvenience. 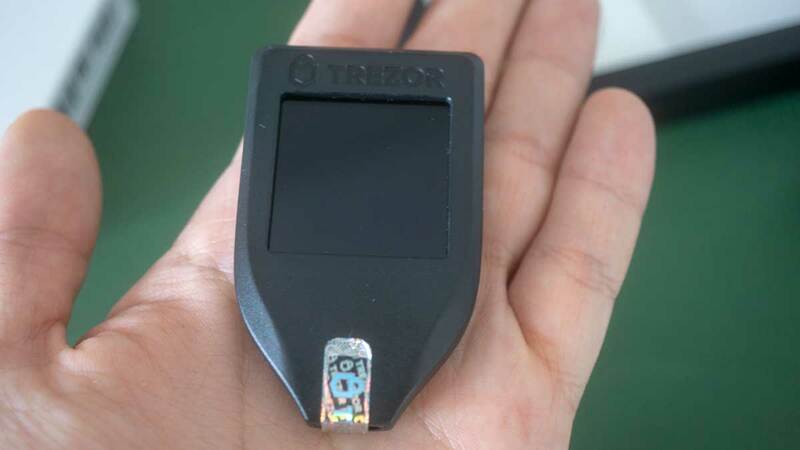 Ledger Nano S size is 9 x 18 x 9 mm, weighing 16.2g whereas the Trezor is 60 x 30 x 6 mm and weights 12g. Nano S has a brushless steel cover protecting the device which adds a bit of weight and gives the better build quality impression. Once removed, the shelve is made out of the plastic materials, same as the Trezor. Both devices are plastic made, feather-weight and tiny. The command buttons on both devices feel like they could be better made. Trezor is a bit more compact and certainly harder to tear-down. Take a look at videos of both Ledger and Trezor teardowns. Both wallets have tiny displays, but Trezor’s is slightly wider. As you can see on the images, apparently neither of the devices shines when it comes to building quality. The reason for this is to make them widely available and affordable. I do not mind the craftsmanship and approve that both companies are investing more in research and development. It would be nice that both groups offered a higher-end case for people who want their wallets wrapped around in a better quality casing. 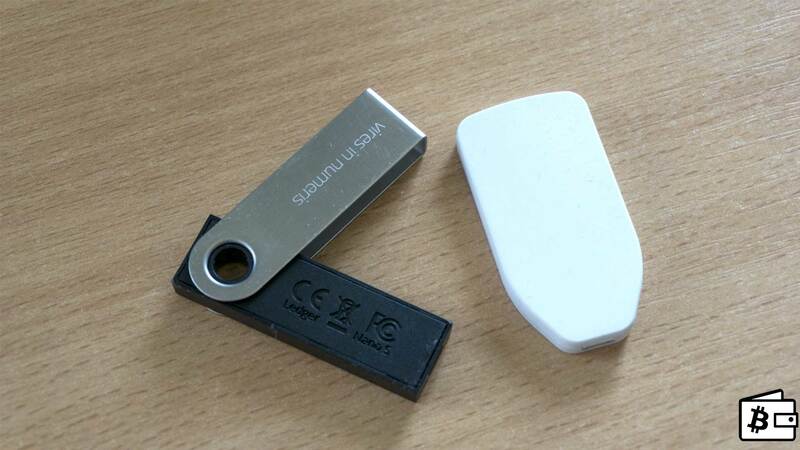 Speaking of design, while both are small and minimalist looking, I believe Trezor’s design is a bit more unconventional, whereas the Ledger seems more like a regular USB and certainly attracts more attention. Satoshilabs offers three color options for their product (white, black and gray). Nano S does not have different color options, though they used to provide personalization engraving feature for the brushed steel cover. Prices of two devices are probably the only factor we can compare straight away. The cost of the Ledger Nano S on the official website is 79€. Trezor is priced at 89€. 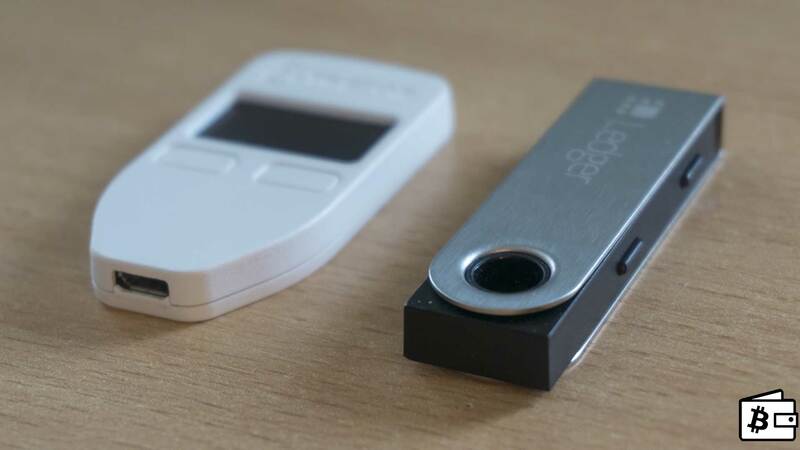 Getting started with both hardware wallets is relatively easy. There is a handful of docs on both websites on how to set up one or another. Currently, Trezor has easier step by step setup, whereas Ledger Apps take a bit more time to figure out. Luckily both manufacturers have good documents for first-time users to read. The most prominent advantage of a hardware wallet is that they create a private key internally for you. The two hardware wallets have a different way of handling this. Trezor mixes entropy from its internal hardware random number generator and your computer to generate a private key for you. The reason it uses random entropy from your PC is to give better randomness and minimize the risk of a backdoor. Because Trezor arrives with no firmware installed, you have to connect it to to the internet to install the firmware from the official website. Ledger, on the other hand, creates the private key inside their secure microchip. It uses AIS-31 certified TRNG (True Random Number Generator). Trezor’s method is open-source, whereas Nano S microchip is closed-source. The reason for closed-source part of the chip, according to Ledger is the NDA agreement which they have with the hardware manufacturer. This is where I believe the next best wallet will take the best from both devices and create a hardware wallet with a secure microchip. The debate which method provides better security is never-ending. Both wallets support seed importing, so if you do not trust the either of how devices generate the seed, you can create and import one yourself. Since this topic is very controversial, I’ll leave it up to you to do a bit of research and decide which of these matches your beliefs. So far I have not heard that the seed generated by either of the wallets got compromised in any way, and that’s important. It also does not mean it won’t happen, we just can’t say anything in crypto is certain. Speaking of user-interface, I would like to mention that as far as the UI design, both wallets provide a very visually appealing interface. It’s clean, minimalist and very intuitive. There are multiple ways to access the wallet in Trezor. The most common one is via the web wallet on their website. All of your cryptocurrencies can be found in the same interface, easily accessible. To change to a particular coin, you just need to click on the drop-down menu and select the coin which wallet you’d like to access. What I particularly like about their UX is that when you’re changing to a similar cryptocurrency (Bitcoin>B Cash) a pop up will appear to warn you. This is great user experience for newbies who can get confused. All of the device settings can be configured within the web wallet. 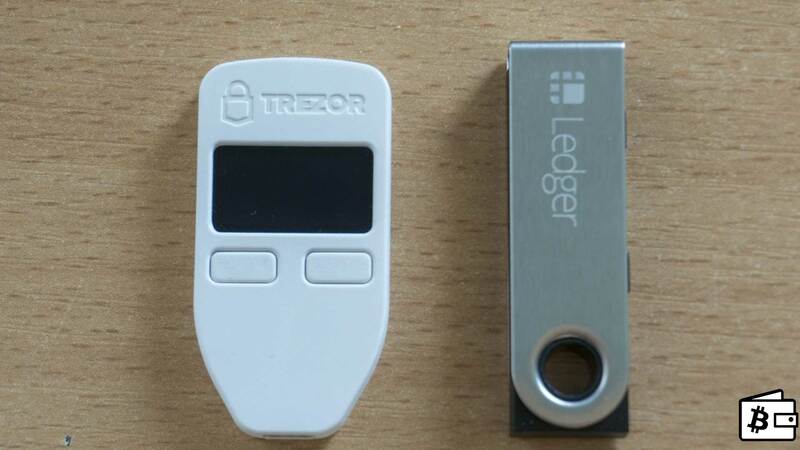 Unlike Trezor, Ledger has a different approach to handling cryptocurrencies and wallets. At the time of writing this article, all of devices wallets are handled through Google Chrome apps. The main app which handles everything is called Ledger Manager. I explained in detail how these apps work in the ecosystem in my in-depth Nano S review, but basically think of it as a Google Play Store. For each coin, you have to install an app. However, the device can support only 5 apps at the same time. Since all the coins derive from the same private 24-word seeds, removing apps does not remove your coins. You can have all supported coins in your Nano S, but you can access their wallets (apps) only 5 at the same time. Unfortunately, one of the biggest problems with Nano S for people looking to have access to wallets of 5 or more coins at the same time, is that you’ll have to delete and apps from the Ledger Manager. Due to Google shutting down the Chrome Apps after June 2018, Ledger is working on a stand-alone app/software, which will hopefully resolve a very clunky user experience. While both hardware wallets have decent UI (user-interface), at this moment Trezor has better UX (user-experience). The navigation on the device itself is much better on Ledger Nano S. While Trezor requires you to connect to their web wallet to be able to change the settings, on Nano S you can do it within the device. I strongly believe that both companies need to find a better way for the web wallets. While sending/receiving cryptocurrency is easy on both hardware wallets, I do not think either method provides ultimate security or privacy. For instance, neither can’t be used with a Tor Browser. Satoshilabs and Ledger go above and beyond to keep our assets safe. There are several security features like the PIN (protects your device from physical attacks) and passphrase which both devices handle quite well. 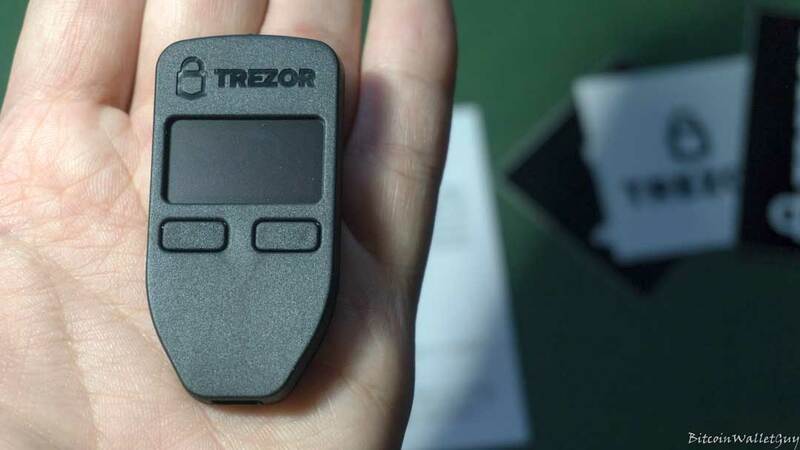 The only problem is that Trezor requires you to type the passphrase into a PC, which makes it vulnerable to keyloggers if your computer is compromised, but your 24-words are still safe from keyloggers. I think a firmware update could make a passphrase entering more safer. Ledger requires both PIN and passphrase to be entered on a device itself, so they are completely immune to malware and keyloggers. 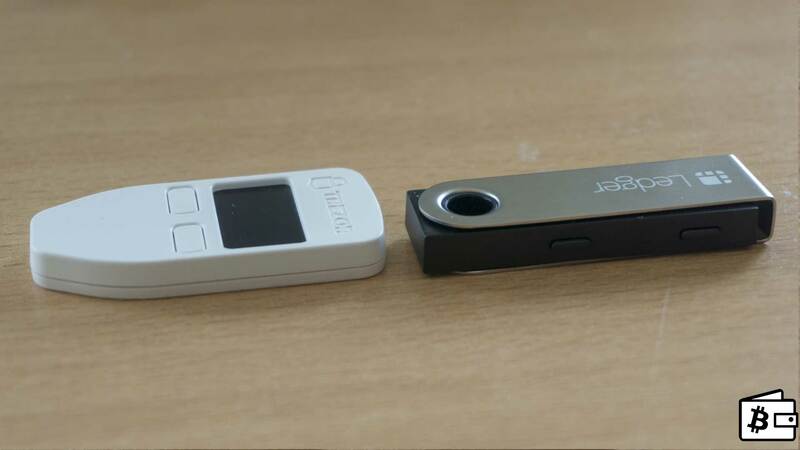 The major difference is that Ledger Nano S has a security chip which is harder extract coins from physically. In theory, someone will easier access your private keys by using the electron microscope with Trezor. This is a bit paranoid situation, and it would be extremely costly and time-consuming to whoever would like to do it. Trezor addressed the possibility in their docs quite well. You can also add a passphrase to both Trezor and Ledger to improve the security in this sort of threats since the passphrase is not stored anywhere on the device. A drawback of Ledger is that part of the firmware isn’t open source, so you need to trust that manufacturer is doing the right thing, while Trezor’s firmware is open source and can be audited. I must say once again that Nano S is not completely closed-source, the only element unavailable to the public (and the most important one) is the secure element chip. Sending coins from Trezor is pretty straightforward. By clicking > Send, you have to enter the receiver address, amount, select the fee (custom fee available). Before sending, the pop-up will appear on the screen asking you to confirm the address on Trezor by physically confirming it on the device by clicking the button. The screen is large enough to show the entire address. You have to confirm the action twice. 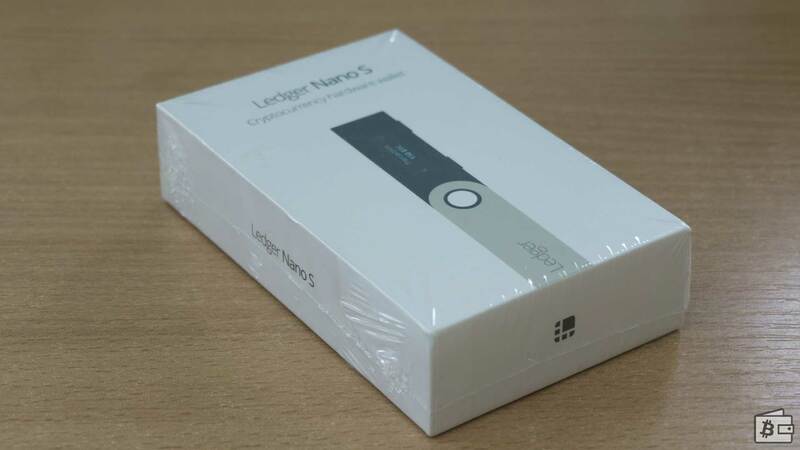 If you’d like to spend the coins from the Ledger Nano S, besides standard amount, address and fees, you have to verify all of the data on the wallet by pressing the right button. First, you have to confirm the address, then the amount and finally the fees. To get the receiving address on Trezor, inside the web wallet select > Receive tab. To get the address you’ll have to click onto “show address” button which will show the address on the screen. 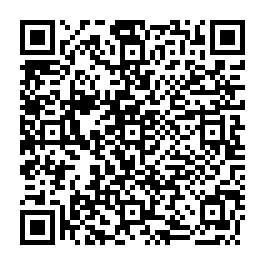 You can view the address in QR and text code on the device screen since the screen is big enough to show both. A single confirmation on the device is required to proceed. In order to show your receiving address on Nano S, you have to go open your Bitcoin Wallet app. Choose > Receive. The pop-up window will appear clearly stating that you’d have to confirm that the address appearing on the screen is the same one appearing on the screen of the Nano S. The address will be shown on the wallet screen. Due to the size of the screen, it’s not possible to see an entire address right away. The portions of address will be scroll through the screen at a certain speed, which makes it a bit hard to read and takes a bit of time. You have to confirm the receiving address once. In conclusion, with the recent Nano S update for receiving addresses, both devices give strong protection from phishing and man in the middle attacks by asking you to verify the data on the wallet and eliminating the needed trust in your PC. These days hardware wallets can store a large number of different cryptocurrencies. The variety of coins supported on a hardware wallet should never be the main indicator for choosing one over another, especially if you’re not a trader. However, if your main goal is to store all sorts of cryptocurrencies, take a look at the table below for an overview of supported coins. As you’ll see in the table, Ledger Nano S supports more cryptocurrencies at this moment. Since both development teams are constantly working on adding new coins, always make sure to check manufacturers roadmap and official docs for more up to date information. What I really like about these wallets is that companies are constantly adding new features which not only protect our assets but also our online identities and accounts. Both of these wallets have the U2F, second layer authentication, which means you can use them to secure your online accounts. Trezor can be used as a password manager and help you manage your online passwords. Password management is not yet available on Nano S, but it’s on a roadmap. The support for both of this products is provided by the manufacturers on their website. Support links are visible on the sites and can be easily located. At the time of writing this review, I’ve sent 2 tickets to each support teams and got a reply on both within 24 hours. Replies from Trezor were a bit more detailed and is a bit easier to reach compared to Ledger, which makes it quite hard to find an “open new ticket” link. The amount of cryptocurrency believers trusting both Satoshilabs and Ledger with their assets is enormous. Both products have huge communities on Reddit, where you can usually get help much quicker. Whenever I had a doubt or a question, I was welcomed in both subreddits very well where my concerns have been addressed by other developers themselves or by the community. In both subs, several employees are helping out, which is important. My opinion is that you can’t go wrong with either of the wallets. Choose wisely and pick the company which resonates with your beliefs better. Hardware wallets have yet a long way to go and improve. I am thankful that we have these two manufacturers continually competing, challenging each other. This sort of competition creates innovation and better security. 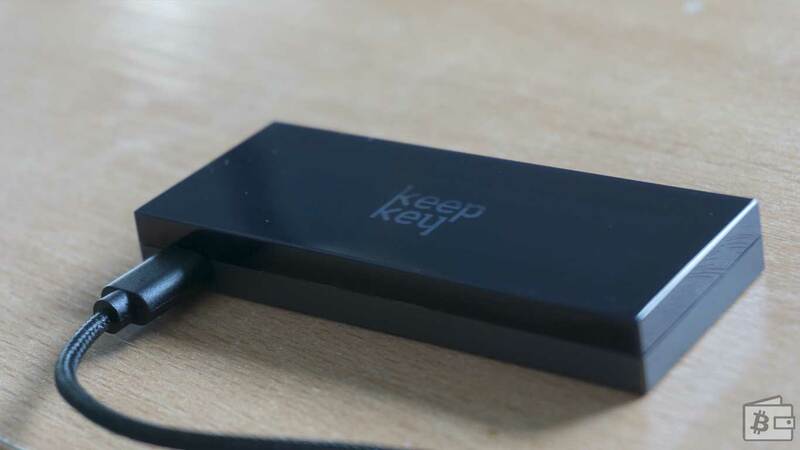 While not bullet-proof methods of storing cryptocurrency, hardware wallets are currently the best, we have now. I do not doubt that more competition will challenge and try to dethrone Satoshilabs and Ledger in the long run, which is excellent. I am very excited about what the future holds for us. Thank you, Ledger and Satoshilabs for securing our assets. Now, get back to work, there is still room for the improvement. Keep working, keep innovating, keep trying to be better than your competitors. New players are entering the market, and we as consumers should be happy for that. Posted in Hardware Wallet, Ledger, Trezor.